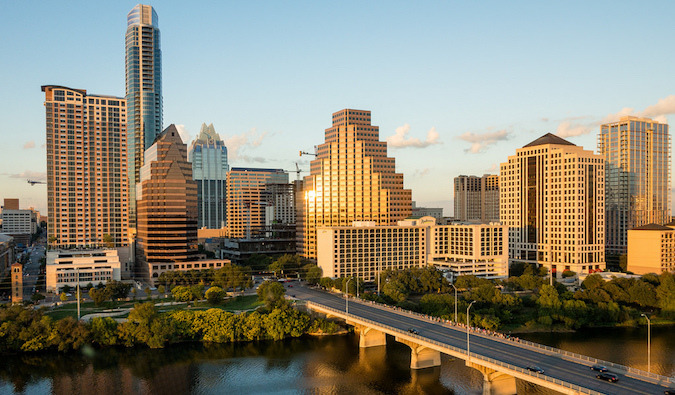 Austin is known for its incredible music, delicious restaurants and food trucks, excellent university, and vibrant tech scene. It’s a city on the move, where people who love the outdoors, warm weather, and succulent BBQ flock to live. And with its never-ending conferences and music and sports events, it’s one that attracts people from around the world. Austin is a weird little big city that I have yet to see someone not love. I’ve been living here since May, and in the last couple of months since taking a break from my travels, I’ve buried myself in two things: writing and keeping active (OK, copious amounts of eating and drinking too). Since you’ve already seen the writing (it’s all the previous blog posts), I want to share some of the favorite things I’ve done in this amazing city (for when you visit — come stay at my hostel, HK Austin, when you do!). I hope they’ll help you fall in love with it just a little more quickly. 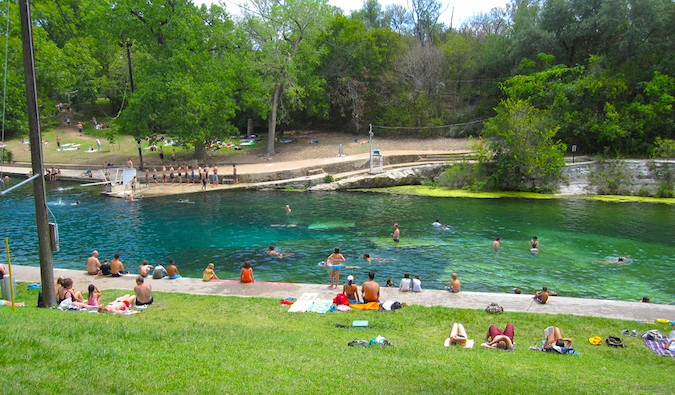 Barton Springs is a pool/creek that everyone flocks to in the warm summer months. 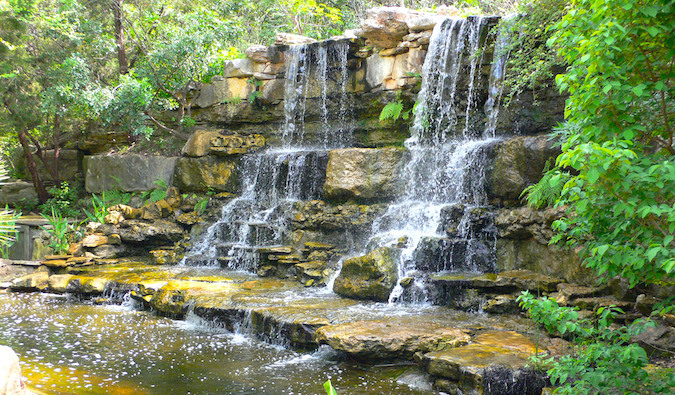 Fed by a natural cold-water spring in Zilker Park (see below), the city-run Barton Springs Pool features manicured lawns that are great for lounging on and relaxing with your friends. The wide pool gives you plenty of room to float around and cool off, as the temperature can hit 100 degrees in the summer. The pool costs $3 to get into (for residents, but they never ask for proof), and while there’s lots of space around it, I often prefer to lounge on the creek itself. While the banks are rockier and there are fewer places to lounge, it’s free, it’s the same water, and you can drink and eat along it (something that is prohibited in the pool). Zilker Park is in the heart of South Austin and offers many different types of outdoor activities, such as hiking, biking, kayaking, jogging, and anything else you can do in a park. Barton Springs (see above) is here, and there’s a botanical garden and the ever-awesome outdoor Umlauf Sculpture Garden, centered on the artistic works of Charles Umlauf. 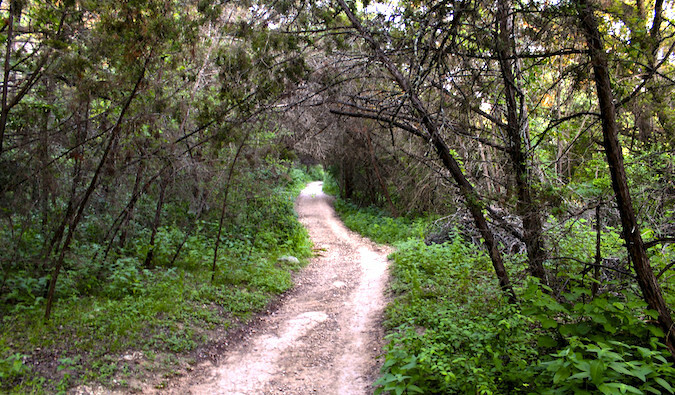 Located in south-central Austin, the Barton Creek Greenbelt contains 12 miles of gorgeous trails where you can bike, run, or walk. There are even beautiful limestone bluffs for rock climbing and,—when there’s enough water in the creek — several swimming holes to cool off in. If you are looking to get out and enjoy the nice weather, this is one of the best places to do it. 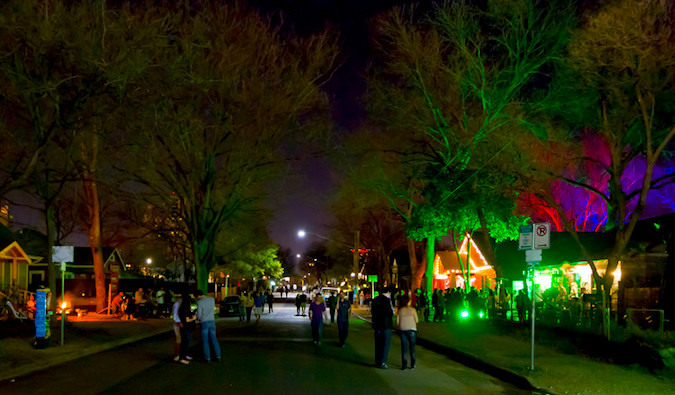 It’s a favorite of everyone in the city and one of the best things about Austin! 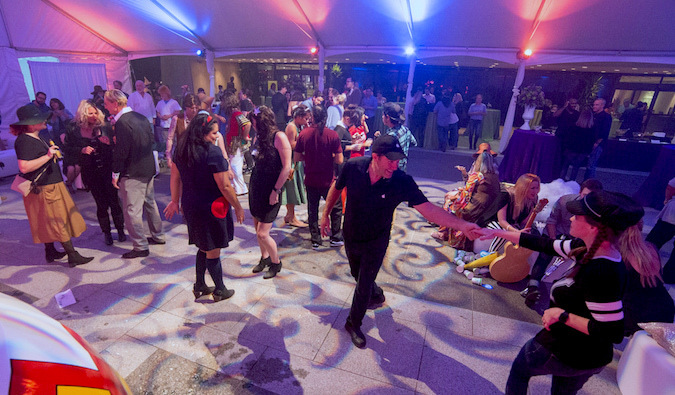 When in Rome…err, Austin, two-step! Country dancing is all over the city, with the White Horse being the most famous spot (if you go on Wednesday, they give free two-step lessons). The Broken Spoke is another popular place too. 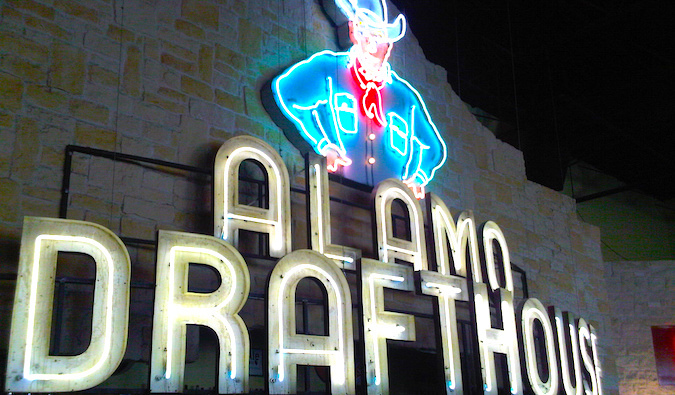 The Alamo Drafthouse is a local institution with multiple locations, where you can watch a movie, drink beer, and order food. Besides showing mainstream movies, they also screen quirky movies and weird previews, host the local Rocky Horror event, and play many classic and cult films throughout the month. This place is more than just a theater, it’s a place for those who love and appreciate film. Lyndon B. Johnson was one of the most powerful US presidents of the 20th century. A complex man, he helped push forward the Great Society, expanding civil rights and the social safety net, while at the same time expanding the war in Vietnam. 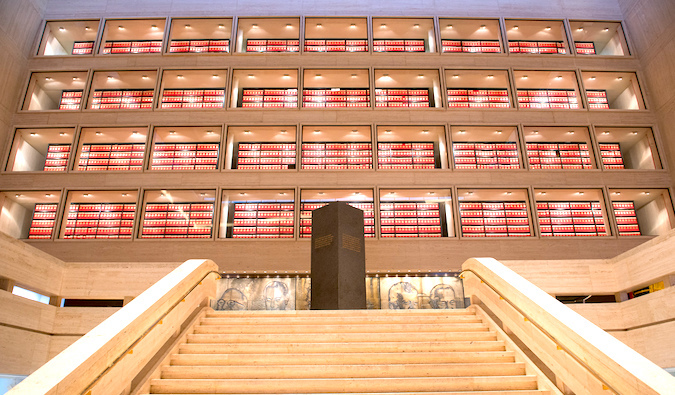 His presidential library is in Austin, and while it’s not a “hot” thing to do, I highly recommend a visit to learn about one of the most colorful and controversial presidents the country has ever seen. This nightlife area is filled with old houses that have been converted into bars. Originally the “hipster” part of the city, it’s now mainstream and teems with people on the weekend. Personally, I hate coming here on the weekends: it’s too crowded and there are too many bachelor/ette parties. I find the scene a little too wild for me (though you may not). Instead, my favorite time to visit is for after-work drinks, when there is just the right amount of people to feel busy and exciting but not overwhelming. From Banger’s for Sunday brunch to Clive Bar, Half Step, and Bungalow for drinks, and Craft Bar for craft beer, Rainey is an eclectic and fun place to hang out — as long as you avoid the weekends. One the first Thursday of every month, the South Congress Hotel hosts a huge event with musicians and an all-night happy hour. It’s one of the biggest nights of the month for young professionals and a wonderful a place to have fun, meet new people (Austinites are very friendly), and drink cheap. You don’t want to miss this if you’re in town. It’s one of my favorite monthly social activities. While beer and cheap drinks are still king here, there is a growing cocktail bar scene in the city. I’d personally rather drink a cocktail than be at a noisy bar. If you’re looking for the perfect cocktail, try Firehouse Lounge, Floppy Disk Repair Shop, Midnight Cowboy, Garage, Whistler’s (see above), and Weather Up (but only for happy hour, as their drinks are slightly overpriced). This bar on the east side of the city is one of the coolest in town, and when I’m in Austin, you’ll probably find me here (it’s also pretty close to my hostel). 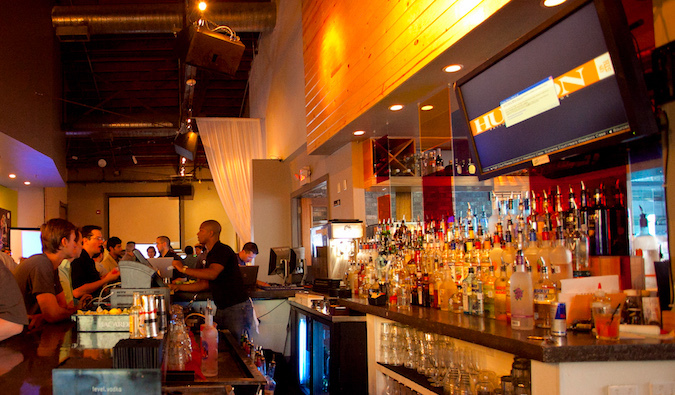 You’ll also find a robust whiskey selection, knowledgeable bartenders, a cool crowd, and a giant outdoor patio space. 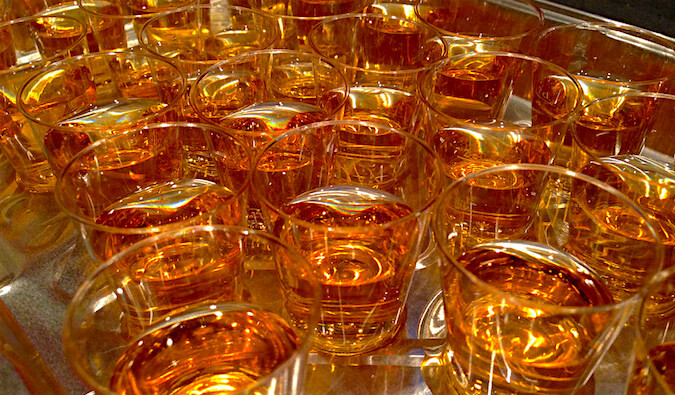 On the weekends, an upstairs mescal bar opens. Whistler’s also hosts one of the most famous food trucks in Austin, Thai Khun, which serves some of the city’s best Thai food (the khao man gai (chicken with rice) is spot on). This is a must-visit bar! 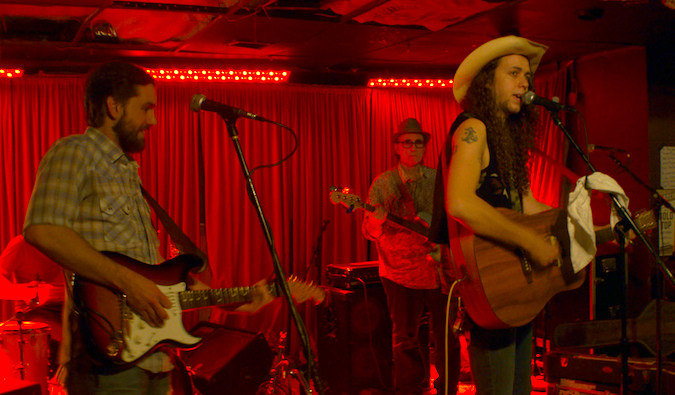 Austin’s music scene is world-renowned, and there’s always some live music going on or a big musician in town. You’ll find a lot of music on Sixth Street and in the downtown area. Most of the bars host musicians. 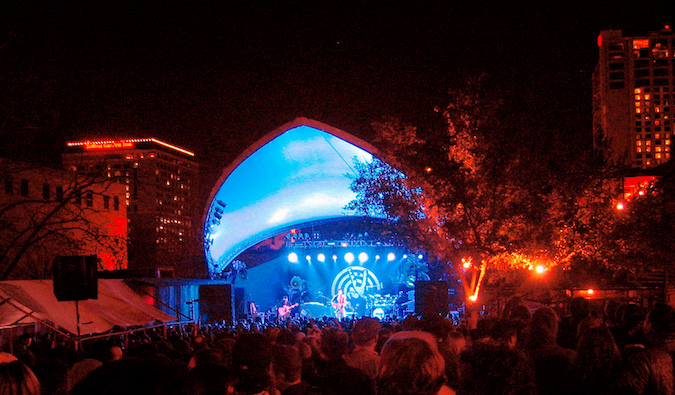 Stubb’s is a world-famous music venue downtown and hosts a lot of big-name musicians in its outdoor venue. Try to see a show there if you can! Bar Chi (206 Colorado St., (512) 382-5557, www.barchiaustin.com) – Decent sushi but an unbelievably affordable happy hour (5-7pm each day). My friends and I come here because it satisfies the sushi craving on the cheap! Wu Cho (500 W. 5th St. #168, (512) 476-2469, wuchowaustin.com) – This is one of the best Chinese restaurants in Austin. It serves a very popular dim sum brunch on Sundays. Be sure to come early as it gets packed during dinnertime and Sunday brunch, and the wait for a table can be up to an hour. Launderette (2115 Holly St., (512) 382-1599, launderetteaustin.com) – Located in an old laundromat, this restaurant is one of the hottest spots in town and serves an amazing menu of Americana and seafood, as well as a decent selection of wine. Some of my favorite dishes include crab toast, burrata, okra, Brussels sprouts, and grilled octopus. If you’re coming for dinner, come early, as it fills up fast. Truluck’s (400 Colorado St., (512) 482-9000, trulucks.com) – This is my favorite steak restaurant because it’s one of the few places where you can also get fresh seafood (crab, oysters, lobster). It’s not cheap, but if you want an upscale steak house, try this. Péché (208 W. 4th St., (512) 494-4011, www.pecheaustin.com) – A New Orleans–inspired restaurant serving Bayou food, with a very friendly staff, tasty cocktails, and an extensive whiskey list. La Barbecue (1906 E. Cesar Chavez St., (512) 605-9696, www.labarbecue.com) – BBQ is a matter of perspective. 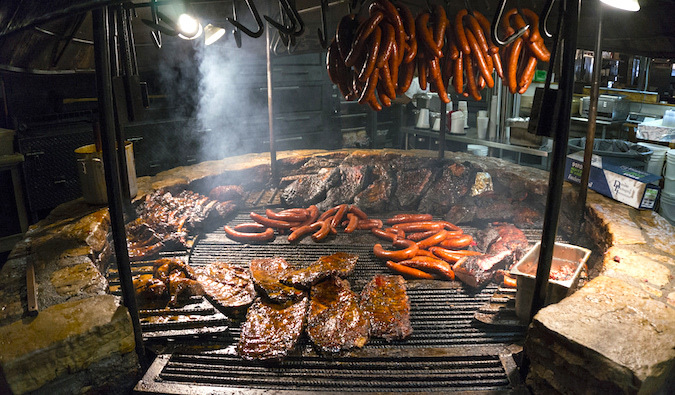 A lot of people say Franklin’s is the best, but La Barbecue is #1 to me. It opens at 11am. Expect two-hour waits during lunchtime, so get here early. Veracruz (1704 E. Cesar Chavez St., (512) 981-1760, veracruztacos.com) – The best food truck in town (conveniently located across the street from my hostel). It makes wonderful breakfast tacos, and the migas was voted #1 in the country. There is never really a line, but service is slow. Torchy’s (multiple locations, torchystacos.com/in/austin) – World famous (and another spot where the president ate), this taco restaurant has multiple locations around town. It lives up to all the hype! The food here is pretty spicy. I’m a big fan of the fried avocado and “trailer park” tacos. Every location is always packed, so expect a wait, especially on the weekends. P. Terry’s (multiple locations, pterrys.com) – This is the best burger bar in town. It’s delicious and cheap (you can get a burger, fries, and a drink for $6 USD), with filling portions. This is one of my all-time favorite spots in Austin, and since it’s close to my house, I tend to eat here too often! Leaf (115 W. 6th St., (512) 474-5323, leafsalad.com) – This new lunchtime salad place is incredible (also the line is long). Its gigantic salad bar has anything and everything you could ever want to put in a salad. It’s one of my favorite places for a healthy meal in Austin. True Kitchen (222 West Ave. #HR100, (512) 777-2430, truefoodkitchen.com) – This new restaurant is incredibly popular with people after work. All its food is natural and organic. You’ll find healthy wraps, salad bowls, sandwiches, and fresh and flavorful seafood, as well as an incredible selection of wine and cocktails. Perla’s Seafood & Oyster Bar (1400 S. Congress Ave., (512) 291-7300, www.perlasaustin.com) – Some of the best seafood and oysters in town! Home Slice Pizza (1415 S Congress Ave., (512) 444-7437, www.homeslicepizza.com) – Hands down the best pizza around! Clark’s Oyster Bar (1200 W. 6th St., (512) 297-2525, www.clarksoysterbar.com) – Another awesome spot for seafood, with an incredible oyster happy hour from 3 to 7! 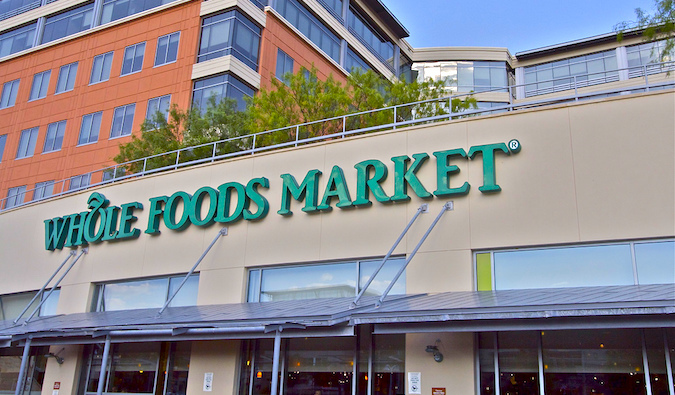 Why visit Whole Foods? I mean, they have those everywhere, right? Well, this one is special. This is the original store — and it’s massive. Its salad bar goes on seemingly forever, there are very good restaurants in the store, the rooftop features patio seating, and musicians play on the weekends. It’s an amazing place that is also a popular spot for after-work drinks and Sunday brunches. Stop by at least once to get your fill (and enjoy the walk in beer fridge).